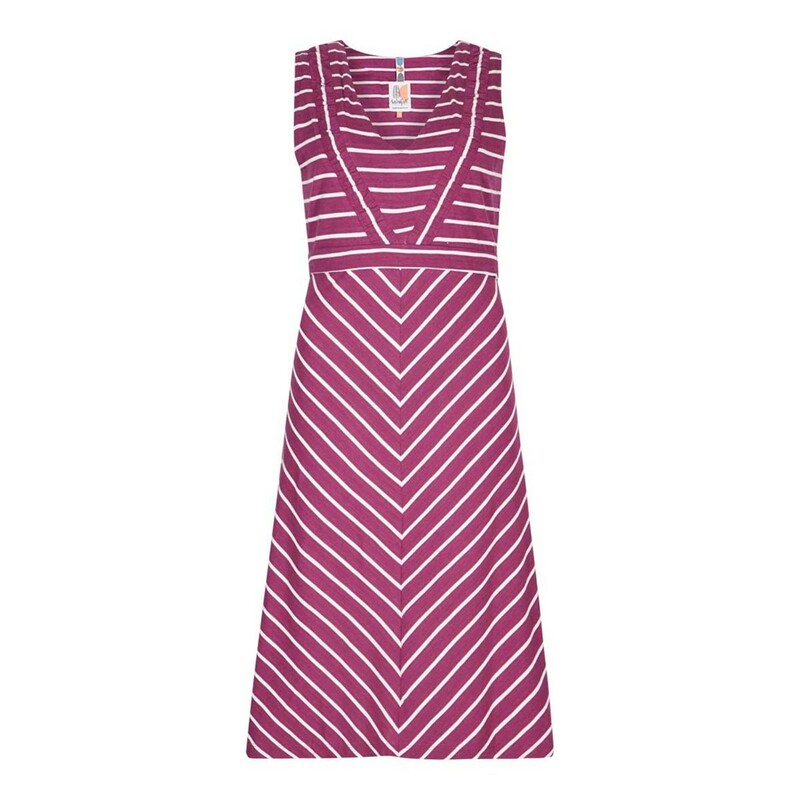 The pretty and stylish Pascale lightweight striped dress is guaranteed to brighten up yours and everyone else’s day. In a vibrant boysenberry tone with a horizontal white stripe upper and diagonal white stripe lower starting below a double layer band under the bust which ties at the back the empire line Pascale features a v-neck with a fancy gathered panel detail. 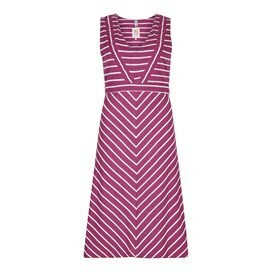 Cut just above the knee the Pascale lightweight striped dress is sleeveless to help keep you cool on hot days. As the sun dips during the evening and the temperatures begin to drop why not match with our Elisa outfitter cardigan to keep the chillier air at bay. Good value, purchased in Black Friday sale. Size 14 fitted well. Such a cute dress, love the pattern!